The correct answer, of course, is Firefox Mobile. 🙂 But what _other_ apps are must-have for Android? I’ve now got a Galaxy Tab 10.1 tablet, and am giving it a whirl. I will _definitely_ have things to say about it soon. 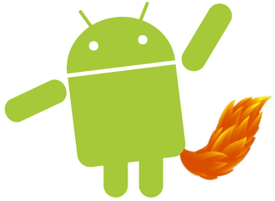 But in the interim, I’m wondering what other excellent Android apps are worthy to try out? Johnath was raving about Tasker, which I’ll install as soon as I figure out how to enable the “Buy” button in Android Market. “Seven Things” is the hip new, err, thing that all the kids are doing these days. I got pinged, so here’s my 7. Hey, let’s do this David Letterman style. TOP SEVEN THINGS ABOUT JUSTIN DOLSKE! Hmm. Kinda off to a bland start, but then I never found Letterman to be very funny. I have pictures from when I first got her, as well as some more recent shots. 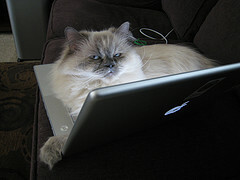 Oh, and she’s Kind Of A Big Deal, as the header on the URL-shortening side icanhas.com. 6. 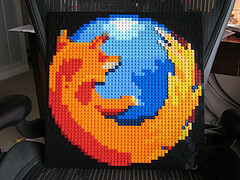 Built a Firefox logo from LEGO! I’ve previously blogged about this. It’s awesome enough to mention again, I’m quite pleased with how it turned out. 5. Is a hueg space history nerd! 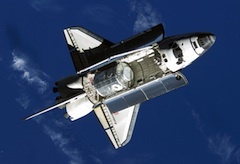 I’m keenly interested in NASA’s (and other countries’) space programs, both past and present. I first got hooked after reading an article in the newspaper on the 25th anniversary of the Apollo Program, when I read that we had landed (men) on the moon not just once, but actually 6 times. I was stunned that that I had never learned that before, and was determined to know more. I particularly enjoy the nitty-gritty, engineering details of programs. It can be hard to find — mass market books don’t want to get too technical, and NASA’s own outreach is mainly for school kids — but there are gems like this book, and NASA’s Apollo Surface Journal, or Apollo Flight Journal. NASA now has lots of very high-res photos from recent Shuttle and ISS missions, which you’ll see as wallpapers on my desktop at work. They’re fun to zoom into and examine for little details. 4. Can do software _and_ hardware! I do software for a living, but I also love to dabble with simple electronics on the side. I can fairly claim geek points for knowing how to solder (fine-pitch SMT, at that! ), doing design and etching of my own boards, reading datasheets for fun, and hoarding components that will be “useful someday”. All self-taught, but also not very good at it. 😦 They say software guys shouldn’t do hardware, and vice-versa — it’s probably true. But it pleases me, and I think it’s more about the journey than the destination. 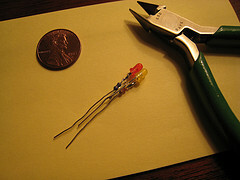 My first serious interest came after reading about a neat “forever flasher” project on alt.hackers, back in the day… It was just a little LED blinking circuit (solar powered, with supercap for storage), but the clever part was that it was hooked up with fine magnet wire and permanently cast in the center of a clear acrylic block. From there I graduated to building a beer-keg monitoring system with a DalSemi TINI kit. My hardware was flaky, but it did have a web interface. And I get bonus points for writing a GIF encoder in Java, mostly from scratch.These days I’ve been tinkering with an Arduino board I got from SparkFun’s first Free Day promo, as well as TI’s nice little MSP430 LaunchPad kit (just $4.30!). Did I just mention beer? I think I did. Yes, I’m a bit of a beer snob… Ok, ok, I’m a big beer snob and huge hop-head. I’m in heaven with the amazing beer variety available on the west coast. If someone could please move Belgium over here too, I’d appreciate it. Instead of a long monologue on how much I enjoy all things brewed, I’ll just plug BeerAdvocate here. Subscribe, it’s just $15 cheap! 2. He’s an international fugitive from the CIA and NSA! This was the first known successful brute-force attack against DES. We got some press (page A3 of the Wall Street Journal! ), I later cowrote a USENIX article, and overall it felt good to play a tiny role in the crypto wars of the 1990s… Back when the government considered cryptography to be munition and still tried to tightly control its export. Coincidentally, we won just days before the US Government gave Netscape permission to export 128-bit crypto (instead of the ridiculously limited 40-bit limitation it required before). I didn’t write any of the crypto code for DESCHALL, but I did help with organizing the project, wrote a proxy to tunnel its UDP client/server control traffic over TCP, made a graph server for people to track their progress, and (most fun of all) made an export-control download page that did a reverse-IP lookup of the user, then a WHOIS lookup on that domain, and finally scraped out an address to see if they were likely in the US. Oh, and I ran the DESCHALL client on about 200 systems at Ohio State University… Over the 3 months, they tested an 100 trillion DES keys — or about 0.1% of the problem space. One year later, the EFF built Deep Crack, which could crack a DES key in just a couple of days. 1. Starting his 6th year at Mozilla! My first day working for Mozilla was August 7th, 2006. 5 full years ago, nearly to the day. Wow. Looking back, I am concurrently full of things to say and speechless. I’ll just say it’s been an amazing experience that never gets old — every day, when the office elevator doors slide open and I see “Mozilla” on the wall, I feel awed and humbled. I can’t wait for what the next 5 years will bring! And that’s tonight’s Top 7 list! Good night, ladies and gentlemen!